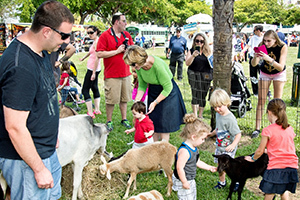 Free of charge, the community-wide festivities will start at 6:00 p.m. with children’s activities and a fair to showcase an array of Jewish community resources. Kosher food and drinks will be available for purchase, including falafel, chicken, hot dogs and hamburgers from Pita and Go, ice cream from the Good Humor truck and cinnamon buns and coffee from Cinnaholic Boca. 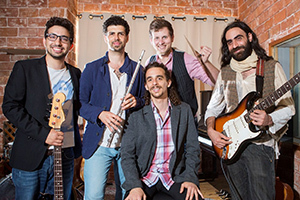 The program onstage, including a concert by the international Jazz Fusion band, The Shuk, will start at 7:15 p.m. with a Yom HaZikaron (Israel Memorial Day) ceremony before the Yom HaAtzmaut (Israel Independence Day) festivities start at sundown. Squire Patton Boggs is the generous Israel Fest Presenting Sponsor. 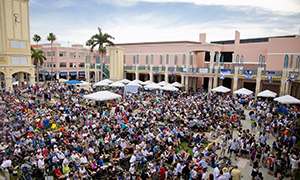 Corporate Sponsors include Boca Raton Regional Hospital, BNY Wealth Management, Hotwire Communications and Polen Capital. The event’s media sponsors are ESPN West Palm and The Florida Jewish Home. Corporate Partners are Silverstein HR; Lesser, Lesser, Landy & Smith ; Morgan Stanley/The Popper Group; and WLRN. The PJ Fun Zone is generously sponsored by Smiles by Dr. W & Dr. R Quality Orthodontics and Florida Blue.